As long as there have been stories there have been pairings of characters – Holmes and Watson, Winnie the Pooh and Piglet, Wooster and Jeeves – the list goes on and on. 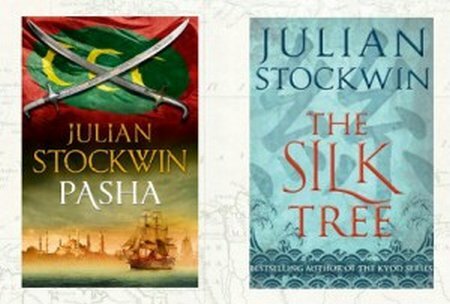 In both my two new books – Pasha, the latest in the Kydd series and The Silk Tree, a standalone historical set in the time of Emperor Justinian, I have double acts. When I started writing the Kydd series I knew I needed someone like Renzi to articulate things that the common seaman would find it hard to do. Renzi would also be a vehicle for teaching Kydd about the higher things in life, helping fuel his ambition to eventually become a gentleman. At first this was a one-way relationship but fairly early on I saw that Renzi needed Kydd as much as Kydd needed him. Pasha is somewhat of a milestone in the Kydd series. Brought together as common seamen before the mast, Kydd and Renzi both eventually achieve the quarterdeck – and more. Over the course of the 15 books to date they have experienced much together and you haven’t heard the end of this double act! The two main characters in The Silk Tree are Quintus Carus Marius, a Roman legionary and Nicander of Leptis Magna,, a Greek incense trader. After escaping the sack of Rome in 549 AD they are thrown together and, down on their luck, need to make money fast. They plot and plan a number of outrageous money-making schemes, until they chance upon their greatest idea yet: stealing the secret of silk from China. This leads to an epic quest from imperial Constantinople to legendary Sinae to the steppes and deserts of Central Asia and back. Pasha-Tree pairBut where do a writer’s characters come from? Obviously reading, period research and life experiences all play a part. Kathy believes that Thomas Kydd and Nicholas Renzi strongly reflect both sides of my personality – the physical me (or me when I was a little younger and a wee bit more spry…) and the logical me. That’s flattering but I don’t think a writer can just transpose aspects of his own personality on to a character. They must also reflect the values and mores of the age in which they live. And they must be characters with which the reader can have some sort of emotional bond; if you don’t care about characters – either positively or negatively – a book won’t be satisfying. One of my readers asked if there are similarities between Kydd and Marius. Marius is a legionary, fierce and brave, and loyal to the values of Old Rome. Physically, he is more thick-set than Kydd, but they are both warriors and would fight to the death for the right cause. 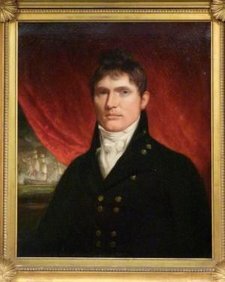 One of the advantages of writing a series is that you can have real character development and I have seen Kydd as a young wig-maker from Guildford transform into a captain in the Royal Navy. Marius does not change a great deal in The Silk Tree but elements of his character do develop and come to the fore in terms of leadership and true friendship. Marius also has a fairly basic attitude to the female of the species whereas Kydd is really a romantic at heart! It might be interesting to ask the same question regarding Nicander and Renzi. What do you think? I’d also love to hear from you what picture you have in your mind’s eye of the central characters after you’ve read these books. Is there one you feel particular empathy with? One you don’t? Kydd and Renzi will go on for many books to come but at the moment there are no plans for a sequel for Nicander and Marius – however if there’s one thing I’ve learned over a lifetime of many adventures it’s that nothing’s set in stone! Pasha is published in the UK/Commonwealth by Hodder & Stoughton and in the US by McBooks Press.